IFD: We recently caught up with our regular globe trotting carper and angling legend Steve Mills. 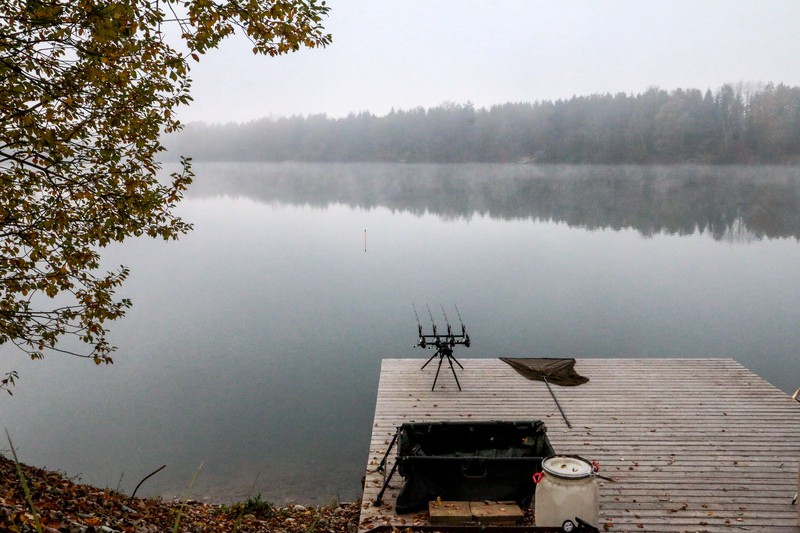 This time Steve reveals the details of a recent trip to a secret lake in Austria…. For many years I’ve had this dream that one day I’d be opening my e mails and amongst all of the usual stuff there would be an offer from a lake owner giving me the chance to fish for some huge, unpressured fish in some far away water that few people had ever heard of. It was only a dream of course and I never really expected it to happen – but out-of-the-blue at the start of 2016 – it did! Things like that just don’t happen normally, so I had to read the mail over and over again trying to make sure I wasn’t making a fool of myself and it wasn’t all just a hoax. I even e mailed back and asked the question but sure enough it seemed genuine. The offer came from an Austrian guy who had bought a lake in the south of that country with a view to doing a bit of fishing on there himself. After spending some time on there he started to realize that he had in fact bought in to something very special. 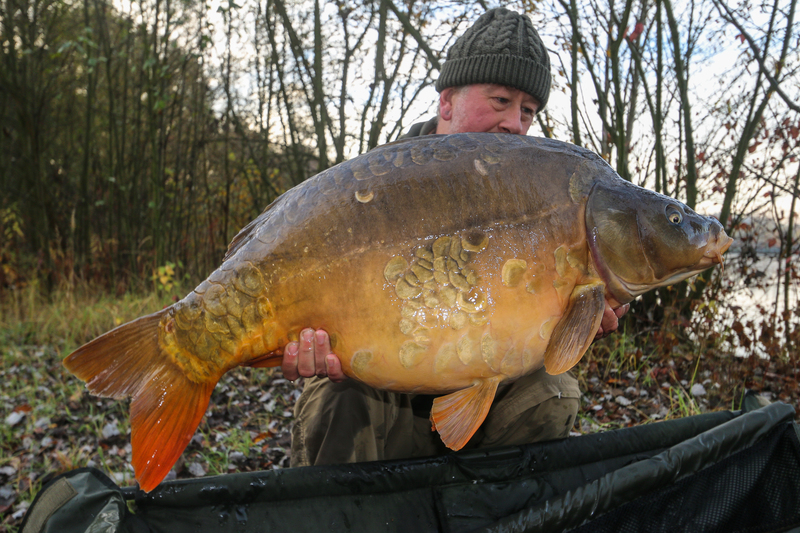 Not only did the lake hold several fish of good weights, they were some of the best-looking fish you could ever lay eyes upon – big, dark mirrors with huge apple-slice scales! The owner wanted to share what he had with someone who would appreciate the water and those fish and somehow he ended up in contact with me! I would’ve been mad not to grab the chance but it wasn’t all straight forward. He was a busy guy and the language barriers meant that it took a lot of effort and mails backwards and forwards to get everything sorted, but finally we agreed on the first week of November. However he was so worried about keeping the lake as secret as possible that I wasn’t allowed to give the location away and I couldn’t even drive there, I would have to fly in and then be picked up at the airport and driven there by the owner himself – but if that’s what it took then that’s what I would do. I stepped out in to the warm autumn sunshine at Graz airport and was soon met by the smiling face of Chris the lake owner, but all was not well. I heard my name called out over the tannoy and sure enough I got the news I always dread when flying – that my bags had been left behind in London! I feared I might never see any of it again, but at least it looked like I’d be able to get fishing anyway and so we set off towards the secret location and home of the big scaly carp! I guess it took around 45 minutes before we were driving down a small gravel track before finally arriving at the place I’d looked forward to seeing for so long. 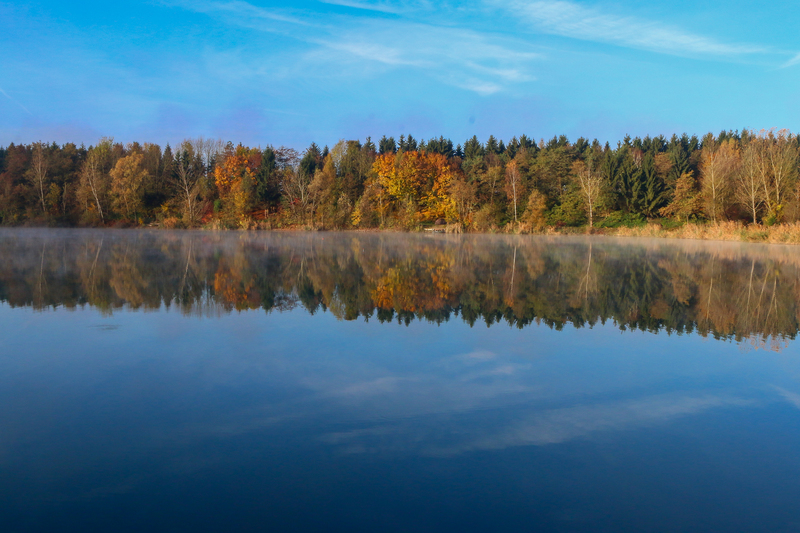 It was a fairly normal-looking gravel pit of around 20 to 25 acres, we’d actually driven past several similar lakes on the way – but it was what lurked beneath the surface that made the difference! I should mention that there is also a small syndicate on the lake and a couple of the guys were present, who were very friendly and also offered to help out with bits of gear until mine arrived. I could see around ten or twelve swims around the lake but I had been reserved the swim normally fished by Chris, which on first view didn’t look particularly different from any of the others. It felt quite warm in the midday sun and Chris explained that the area was quite unique, being surrounded by mountains and causing it to sort of have its own micro-climate and keeping it warmer than other areas of the country, it also explained why the carp grow so well there. 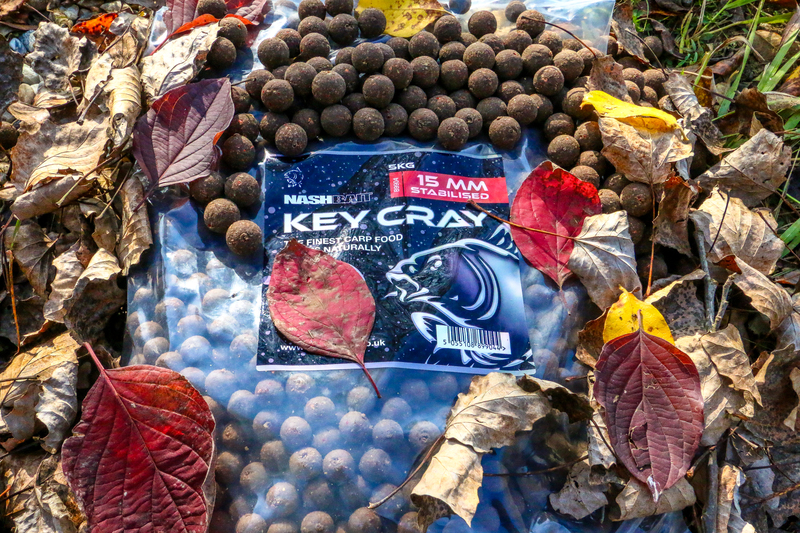 Thankfully I’d sent my bait over in advance, so I had several kilos of the new Nash bait, the Key Cray waiting for me, but the news from the syndicate guys wasn’t encouraging. They generally bait up quite often and then go out with underwater cameras to monitor how much is getting eaten. The bad news was that for the last three weeks the bait had been lying down there on the bottom going furry. It wasn’t great to hear but that wasn’t going to stop me giving it my best shot, it did mean that I’d go a little easy on the baiting to start with though. Travelling light meant no echo sounder so feature finding was done old school style with a rod and a heavy lead on the end of the line. From the boat just donking the lead up and down can give you plenty of info and I could feel plenty of weed with the occasional hard clear spots. The depth didn’t vary much so it was the small clear spots that I chose to target with small groupings of the Key Cray with fairly basic rigs over the top. 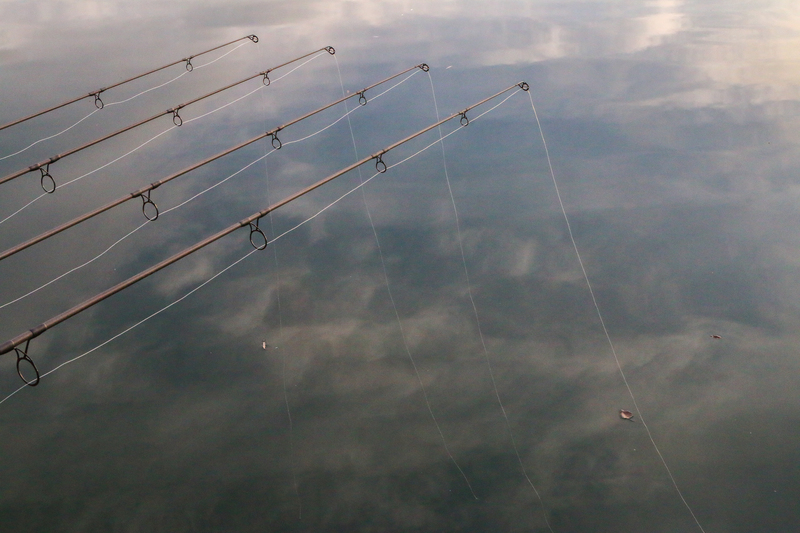 I felt a lot happier with the rods out, even if they weren’t my own. I just hoped that I would get to see one of those fish! The first night passed by quietly, in fact the first three days and nights passed by without me getting anything on the scoreboard. That wasn’t to say that it was totally quiet though. I was fishing fairly slack lines in an attempt to keep them low in the water and throughout the second night I was getting liners, which showed that I had fish in front of me and that they were active enough! That certainly boosted my hopes but to try and avoid spooking them any more than I had to, I slackened my lines right off so they were hanging just limply from the tips. The other good news was that my ‘lost’ gear finally arrived too. A taxi driver arrived with my bags and actually drove them to my swim, which I thought was decent service. So things were looking up – I had my own gear and I had fish in the swim. The contrast in day and night temperatures was quite extreme. The nights would drop down to freezing while in the day it could be up to 20C. It was about 10am on the fourth morning and after another chilly night I was sitting down by my rods with a cup of tea just warming myself up. By that time with the sun rising higher I felt like the chance of any action had already long gone. My R3 alarm heads were switched on mute and the sounder box was back in the bivvy where I didn’t think it was needed. Just as I was day dreaming in the warm rays I was jolted back to reality by the sound of one of my spools starting to revolve! I almost didn’t believe what I was seeing but the spool was spinning faster and picking up the rod made it spin faster still! Whatever was on the other end had plenty of power and my attempts to slow it down had little impact. It kept going and I felt that horrible grating sensation as it went through the first of many weed beds. I couldn’t risk playing it from the bank so I threw the net in the boat and pushed myself away from the shore. I had no engine so it was a slow process of pulling myself out towards the fish. After about 70 yards the line sort of juddered to a halt under the boat, I pulled a little harder and something gave. Two or three clumps of weed came to the surface like washing on a line but I felt the unmistakable lunge of the fish, which was still some distance away. The weed on the line made it difficult to keep direct contact, slowly I was pulled towards the end bank to my right before the fish realized it had run out of space and sharply turned left and slowly but surely pulled me across to the far side of the lake. By now I had it on a shorter line and although my heart was pounding and my palms were sweating I kept telling myself to just be patient. It must have been over half an hour after first picking up the rod when I finally got my first glimpse of the fish and my mouth just fell open. I just saw a very wide back that was covered in big scales! Thankfully by the time it was on the surface its power was just about gone and ever so slowly I was just able to draw it over the cord of the waiting net. I flopped back in the boat and breathed a big sigh of relief before peering down in to the net to confirm what I already knew – this was one of the special ones! I slowly rowed back to the bank with the landing net just draped over the end of the boat. One other guy, David, was fishing at the far end of the lake but he had seen the battle going on and came around to lend a hand. I saw his eyes visibly grow wider as he saw the fish. I had only thought by then that it was definitely over 50lb, but he was talking 30kg (66lb) plus and saying that it was a fish not seen for some time! I must admit it was looking bigger and bigger all the time and so with David’s help we heaved it up on to the waiting tripod and scales. David’s eyes widened once again and when I looked for myself I could see why – the needle had stopped on 71lb 10oz (32.5kg). All the effort, the travelling, the lost bags all paled in to insignificance in that one moment – job done! It was just a magnificent carp, probably the best-looking big carp I’ve ever seen and if that was my only fish then I would be a happy man. But of course that wasn’t going to stop me trying for more. Just maybe it was the start of another feeding spell? Or maybe after a few days they had now got the taste for the bait? With the fish returned and with renewed enthusiasm I brought all the rods in to make a few changes. The fish had come from the one clear spot that I had the most confidence in and I reckoned that I could place another rod around ten yards to the left without causing too much interference. Chris had left some pole markers in place in the swim, marking some of the areas he had been fishing. He said I could move them if I wanted and one on the extreme left of the swim hadn’t produced anything for him at all. I’d seen a couple of fish show in the water over to my right so I moved that marker over to what looked like a really nice gravelly spot in about 15ft and sprinkled about one kilo of boilies loosely around the area. The following night was a lot milder, with a covering of cloud. Every now and then I could hear spots of rain falling on the bivvy. But it wasn’t the rain that was keeping me awake – it was the sound every now and then of big fish crashing out somewhere in the darkness. I was hard to pinpoint where they were but some were definitely close to the baits! Something had to happen and just as it was starting to get light it did! A fast run on the same rod had me scrambling from the sleeping bag. A thick eerie mist had descended over the lake and everything was silent, the rod was wet with dew as I picked it up. It didn’t have the power of the first fish and I managed to stop its first run without too much trouble. It felt like a much smaller fish and so I decided to stay on the bank and play it from there. It went on several short runs but I always felt in control and as I got the net ready I had it in my mind that a small fish was all it was going to be. So I got a real shock when I saw that it was probably twice as big as I was expecting – a big, long dark mirror again with big scales running down its back! I couldn’t believe what I was looking at, the cradle and tripod were still in place so I grabbed the scales and sure enough they gave a reading of 60lb 10oz (27.5kg). It was only just getting light so I placed the fish in the sling for a while to recover and I’d only just done that when I faintly heard my sounder box back in the bivvy – another run on the rod I’d placed ten yards from the first! I couldn’t stop the fish and it must have taken 50 yards of line already so it was another boat job and indeed another lengthy battle. But although it was stronger than the first fish it was a little bit smaller at 45lb 8oz, but still a great fish – what a morning – what a lake! Something had clearly changed, after three days without a fish I’d now banked three in less than 24 hours. 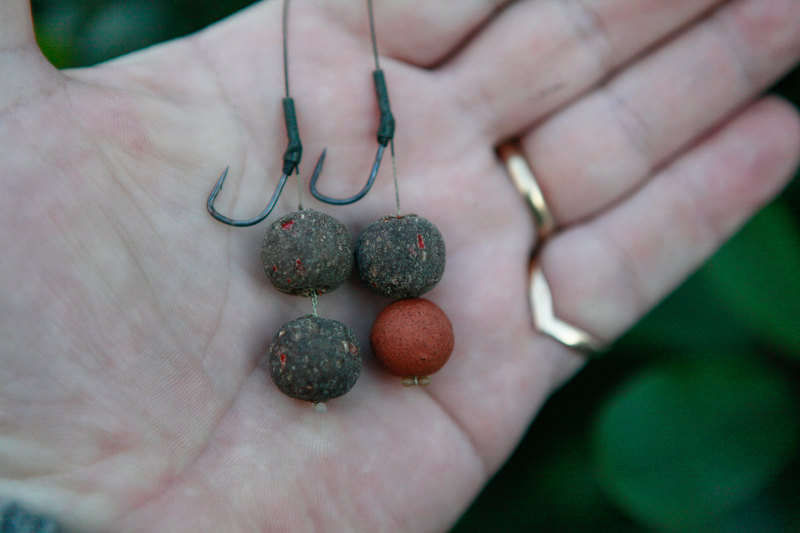 They certainly liked the bait anyway, rigs as I’ve already mentioned were basic. The first one had come to a double bottom bait with a size 5 Fang Twister hook and 20lb coated Combilink hook link, the next two had come to the same rig but with a snowman set up instead of the double bottom baits. Something I always do now is to leave all of the coating on the hook length, apart from the hair and it keeps working for me, which is all that matters. Over the next couple of days the action kept coming, but it wasn’t all good news. The next run brought another nice mirror of 46lb 10oz (21.1kg) and for once it wasn’t covered in scales but still a very nice and very welcome fish. But the next two runs were unfortunately both lost. The first was just a hook pull about 20 seconds after picking up the rod, it happens sometimes and it’s disappointing but what can you do? The next loss, however, hurt much more. After another strong run I could see that somehow the line had got caught around one of the marker poles, which was being dragged around the swim, even with a 2.5kg weight that was holding it in place. I took to the boat and by the time I reached the pole the fish was still on and clearly very angry. The line had actually got jammed where the pole sections join together. I’ve heard of it happening to other people, but it had never happened to me in all these years. Unfortunately by the time I freed the line the fish was gone….. Two losses in a row hurt, especially that last one. After what I’d caught I knew that they were good fish for sure – but they were gone and all I could do was pick myself up and carry on. By then I was already in to my last full day on the lake. The next morning I’d have to leave and I just hoped that I could get one more fish to end on a high. David at the far end of the lake had already left, but three more of the syndicate guys turned up to fish for the weekend. Winter tends to arrive fast in that part of the world and the temperatures had plummeted over the previous 24 hours. It was due to drop a lot more in the coming days, well in to the minuses, so perhaps I had got my timing just right. I was in the bag early that evening as it was just too cold to sit out. All seemed quiet out there and once again the thick mist began to descend over the lake. I must have drifted off and in fact slept well through most of the night. It was around 6am when the sounder box interrupted my dreams and from the bivvy I could just make out the right hand rod bent at an alarming angle! It was one last trip out in the boat to do battle. Through bleary eyes I saw the shape of the fish go in to the net and I slowly made my way back again. It was only back on dry land that I looked properly for the first time and once again I was left open-mouthed. 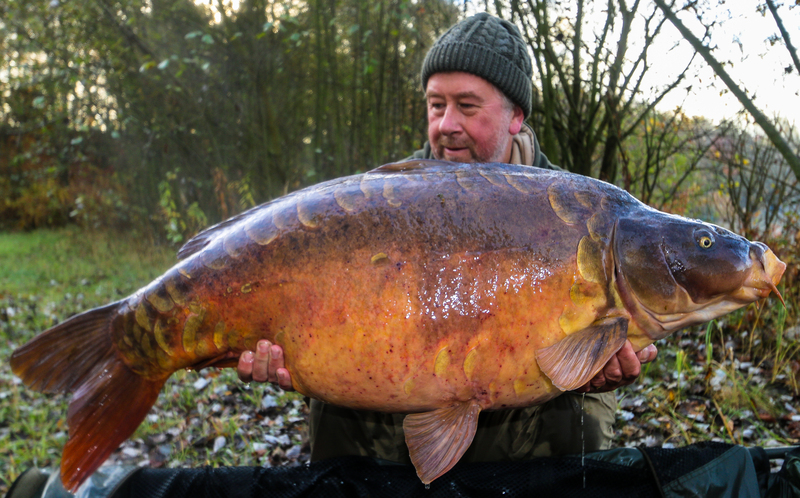 What a fish it was with its back covered in huge mirror scales! It was another real stunner and weight really wasn’t important but it was the smallest of the week at 42lb 9oz (19.3kg) although maybe the best-looking of the lot! That was all I could ask for – I could leave on a high. From a tricky start and wondering if I would catch anything at all, it had turned out to be a week that I would never forget. Those fish are magnificent and I feel so lucky to have had the chance to fish that special lake and to get my hands on some of the jewels that it holds. It just shows that you never know what life will present you with. 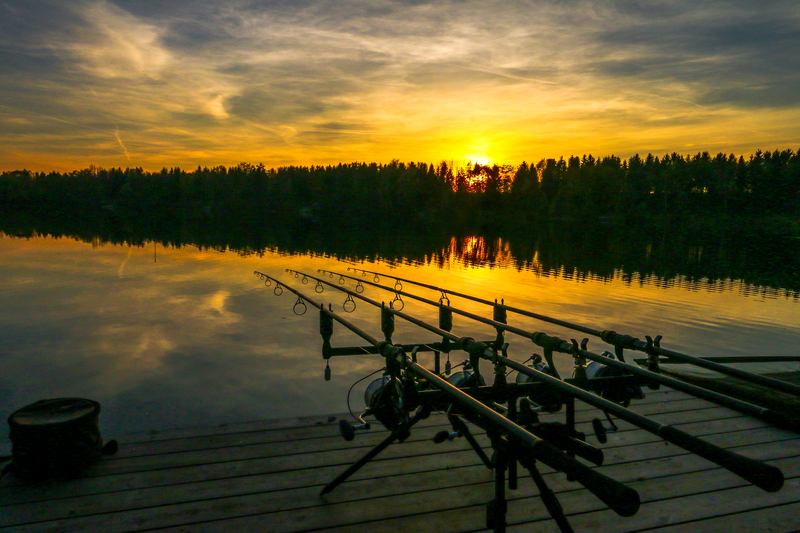 I’d always dreamed of finding somewhere like this with big, beautiful fish in nice surroundings and thanks to one generous man in Austria, those dreams came true.